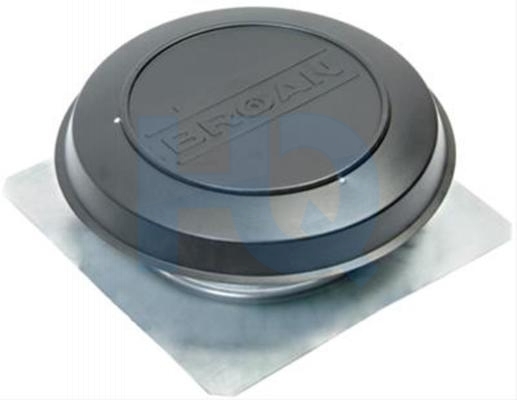 Broan Nutone Powered Attic Ventilator. 1200 CFM. The thermostatically controlled Broan Powered Attic Ventilator cools attics and reduces running time for air conditioners during hot weather. It also tends to shorten the air conditioning season during spring and fall. Energy consumption of air conditioners may be reduced up to 30%. Built-in adjustable thermostat – for automatic operation at your selected temperature level.